There is a secret treasure hidden on the slopes of the Blue Ridge Mountains in Southern Virginia, and it is less than a day’s drive from five major cities in Virginia and North Carolina. The beautiful Smith River has it all: paddling, fishing, hiking, and more. Come for the relaxation and adventures of the river and stay for the festivals, music, events, food and fun. Rising on the eastern face of the mountains near Lovers Leap and flowing through the valleys in Patrick, Henry, and Franklin counties; the beautiful Smith River is wild, scenic, and provides miles of recreation. 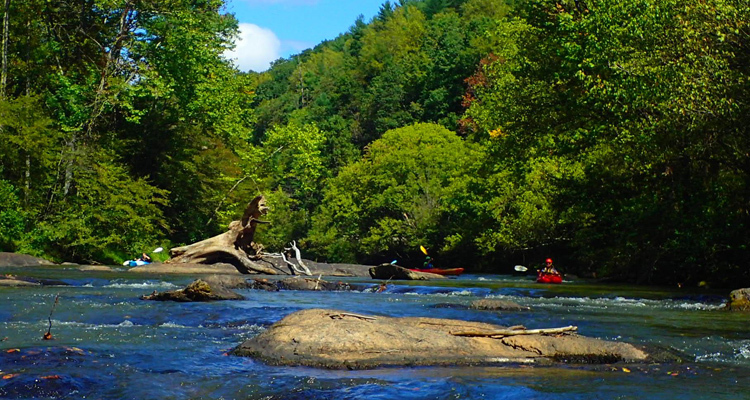 The remote sections of the Smith above Philpott Lake are seldom travelled but can be paddled in a canoe or kayak while the lower river from Philpott Dam to the North Carolina line can be enjoyed by novice and experienced paddlers and fishermen. The river is held back by Philpott Dam at the northwestern corner of Henry County, creating 3,000 acres of lake enabling a variety of recreation that is enjoyed by visitors throughout the year. Philpott Lake is a boating and fishing paradise with 100 miles of pristine shoreline, a full-service marina, camping, world class walleye and smallmouth bass fishing, and incredible vistas of the Blue Ridge Mountains. Lake paddling is also offered at the nearby facilities of Fairy Stone State Park and Beaver Creek Reservoir. Slip back to a simpler time in a nearby getaway, wet a line, float lazily down the river, hike, bike, or explore history and nature. The Smith River Valley has it all. Spend the day on a beautiful lake, or let the river carry your canoe or kayak along. Although close to modern conveniences, you can be transported to century-old mill towns, historic railroads and river navigation structures, a prehistoric stone fish weir, and experience the timeless beauty of nature and wildlife here in the foothills of the Blue Ridge Mountains. between Philpott Dam and the Bassett Access point that challenge intermediate and more experienced paddlers. The water release schedule can be obtained 24 hours a day, 7 days a week by calling (276) 629-2432. Below Martinsville Dam, the river travels another twenty miles through rural settings and historic regions on its way to Eden, North Carolina, where it is slowed once more by the historic Spray Dam before reaching its confluence with the Dan River. Any of these guided river adventures can be booked with our organization: Smith River Outfitters. Contact us at (276) 618-1457 or email smithriveroutfitter@gmail.com. Aside from fishing for wild brown trout on one of the premier streams in the country and paddling through beautiful scenery, you may be surprised to find that there’s much more to experience in the Smith River Valley. 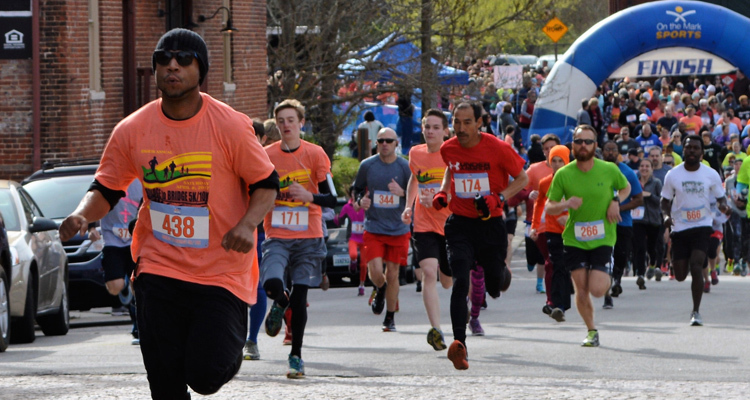 Come to the area for special events such as NASCAR racing at Martinsville Speedway, Rooster Walk Music & Arts Festival, tournaments at Smith River Sports Complex and much, much more. Smith River Fest, coming soon in August, offers a unique opportunity to celebrate the great outdoors of Martinsville-Henry County. Continue reading to learn more about this exciting festival. If you enjoy learning about history, the banks of the Smith River also offer a glimpse into our colorful local history. Rural landscapes are reminders of the country’s agricultural beginnings. For two hundred years, the Smith River Valley was also home to thriving textile and furniture industries that made their homes along the river’s edge. 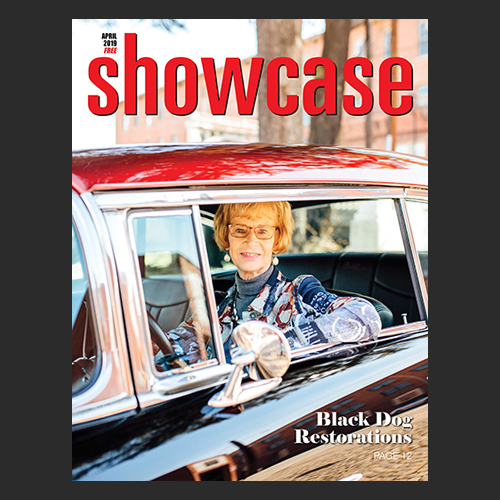 As a part of revitalization and preservation efforts, the Smith River Small Towns Collaborative is making strides to rejuvenate the historic buildings and public use areas of these communities. You can also explore our local area’s arts and culture scene with visits the Smithsonian-affiliated Virginia Museum of Natural History, Bassett Historical Center, Piedmont Arts, or one of our many other museums, local art galleries, and cultural venues along the Smith River Artisan Trail. So pack up your gear, load up your family and friends and come visit the Smith River Valley. There is something for everyone in Southern Virginia’s outdoor paradise.